Pete Seeger was 94. He was the singer, folk-song collector and songwriter who spearheaded an American folk revival and spent a long career championing folk music as both a vital heritage and a catalyst for social change. Seeger's best known songs include "Where Have All the Flowers Gone," "Turn! Turn! Turn! (To Everything There Is a Season)" and "If I Had a Hammer (The Hammer Song)." 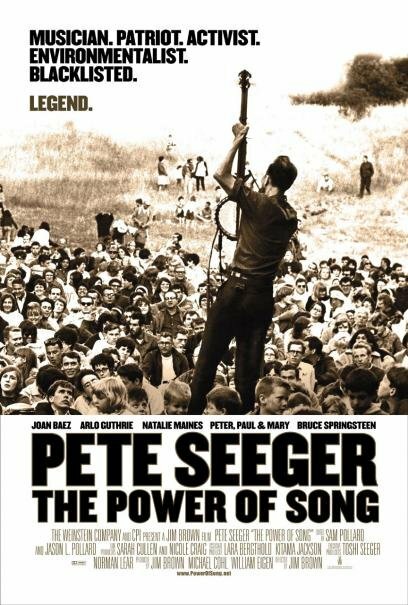 I strongly urge you to seek out the documentary Pete Seeger: The Power of Song for more on this extraordinary individual. The world will miss Pete Seeger. Dave Madden was 82. He played the role of Reuben Kincaid, the band's manager in The Partridge Family. He was born in Sarnia, Ontario. Russell Johnson was 89. He was best known for playing the brainy Professor Roy Hinkley on Gilligan's Island. Ariel Sharon was 85. He was one of the most influential figures in Israel’s history, a military commander and political leader who at the height of his power redrew the country’s electoral map only to suffer a severe stroke from which he never recovered. Phil Everly was 74. He and his brother Don were the Everly Brothers, an influential harmony duo who recorded the hits Wake Up Little Susie, Bye Bye Love and All I Have to Do Is Dream. James Avery was 68. He was the actor most famous for his role as the judge "Uncle Phil" Banks in the Fresh Prince of Bel Air. He also voiced the villain Shredder in Teenage Mutant Ninja Turtles. Peter O'Toole was 81. He was the actor who found stardom in David Lean's masterpiece Lawrence of Arabia.